Inserted Spring in Lid to offer better sealing. One side is carbon black,the other is natural brown. damage your eyelashes while removing. 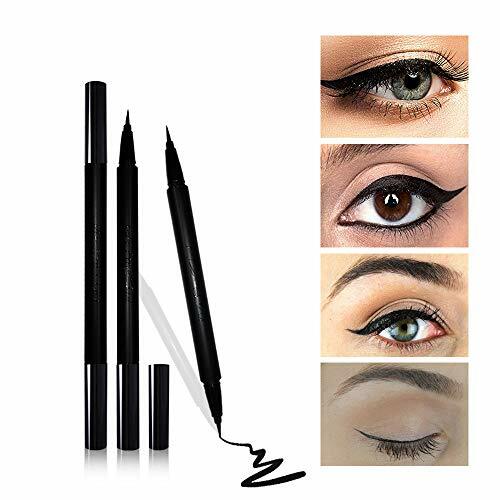 Easy, portable, and most of all, you deserve it- Makeup eyeliner. full and smooth and lines even. Quick-drying: only 3 seconds for long lasting eyeliner color. Our highly pigmented formula ensures your natural eyeliner lasts all day. Rainproof, sweat proof, and smudge proof.